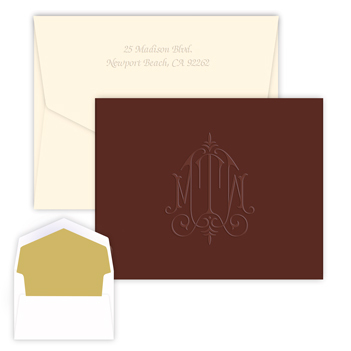 The Whitlock Monogram Note features one of our most unique designs. Formal and full of personality, the monogram is beautifully embossed in mocha (dark brown) paper. 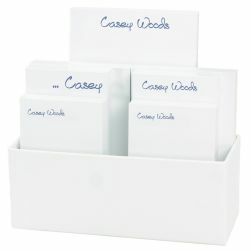 The note, which folds at the top and opens from the bottom, is crafted from double--thick paper. 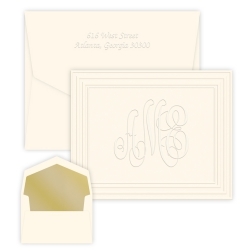 White inside. 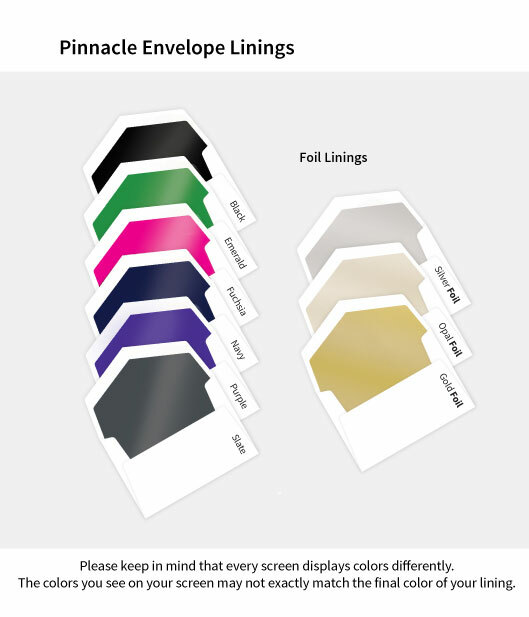 Includes 25 white envelopes. 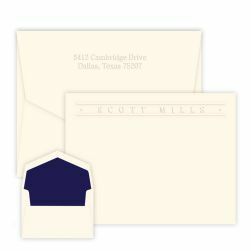 Upgrades include a hand-inserted lining or return address.